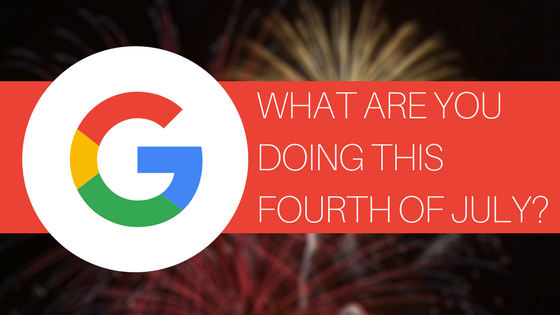 How to Know What to do this Fourth of July: Google’s Latest Integration into our Lives! 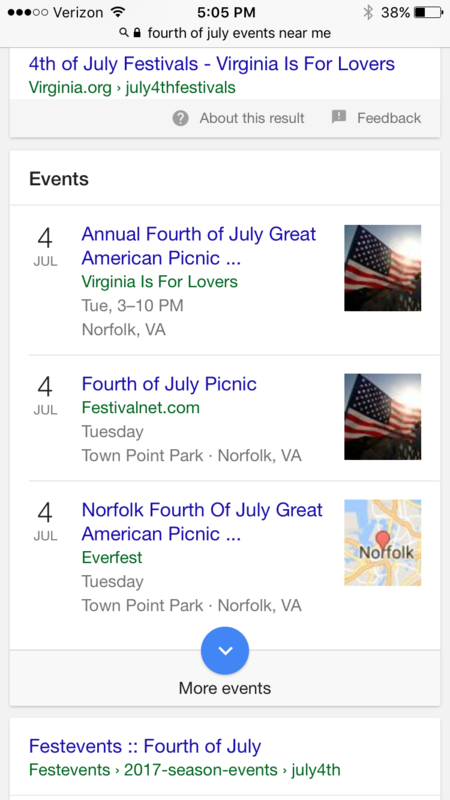 Home - Online Marketing Strategy - How to Know What to do this Fourth of July: Google’s Latest Integration into our Lives! Happy Fourth of July! Today we celebrate our nation’s independence, and while there are some traditional ways to celebrate this holiday, often including grilling out and wearing red, white and blue, chances are some of you still haven’t made plans for what to do. Well, have no fear- Google’s got you! As of May 10th, Google introduced a new feature on their app and mobile web server in the U.S. where you can now search for “events near me” or even more specific requests like “jazz concerts this weekend” and Google will bring up a list of activities near you that you might want to partake in. How convenient is that? With a single tap, you can see an overview of each option, including the event title, date and time, and location. Planning on throwing an event with your business? Since Fourth of July falls on a Tuesday this year, make sure you check this holiday guide out and call any stores you plan on visiting beforehand as their hours may have changed. As we’ll continue to discuss this month, technology is integrating into our everyday lives in exciting ways- and this event feature for Google mobile is just one of many “easy buttons” coming our way!